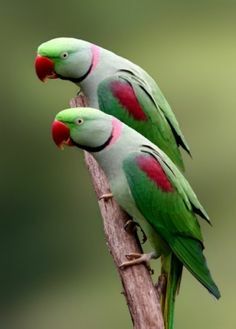 Alexandrine parrot, also known as the Alexandrine parakeet, a native to Asia, is considered as one of the largest parakeet species, which is now commonly found in other parts of the world like Belgium, southern England, western Turkey, and Germany. 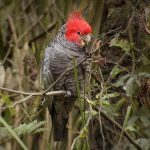 An intelligent bird by nature, it attains sexual dimorphism from the age of three. 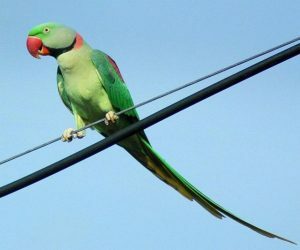 Color Bright green plumage, red beak with yellow tip, yellowish green abdomen, bluish green shades on the upper side of the middle tail feather, yellow underside tail feathers. Yellowish white iris with a light gray ring around the eyes. Maroon shoulder patch. 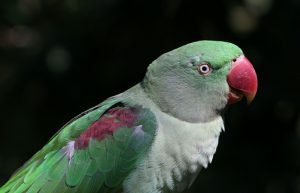 Adult males have a black ring and pink nape band around the neck with a blue-gray sheen on their nape and cheeks. 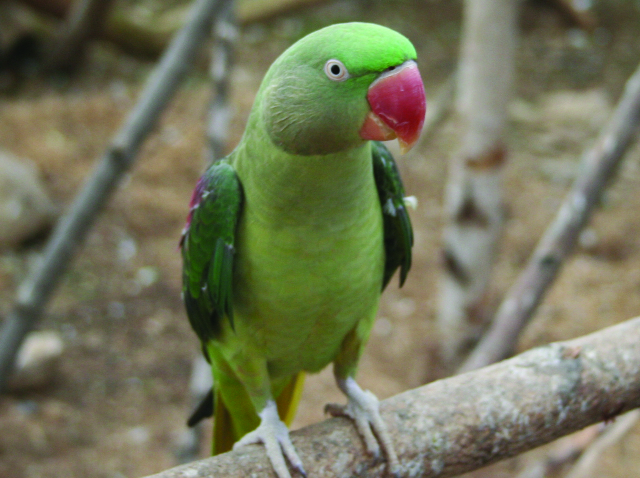 Females often exhibit a light grey neck ring. 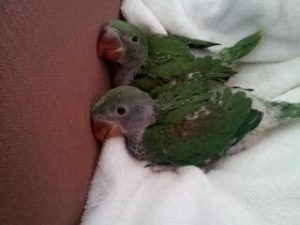 Baby Alexandrian parrots resemble adult females in coloration. 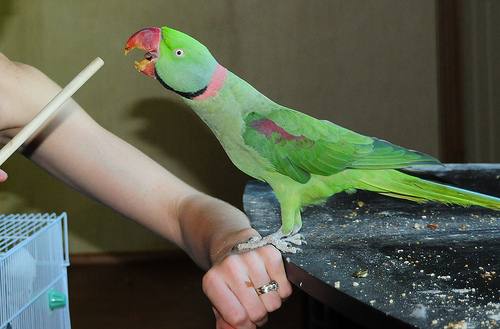 This bird is a famous choice for keeping as a pet because of its friendly personality and social behavior. A cage sizing around 36X24X24 inches with multiple perches will be good enough to accommodate this bird. Since it is susceptible to feet problems when standing for a long time, there should be a variety of perches. 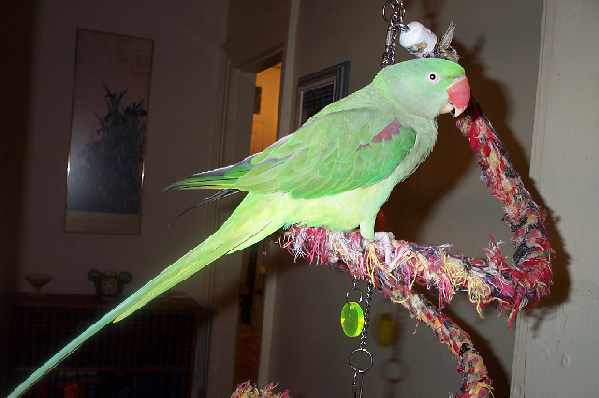 It has a common proclivity of climbing now and then for that the cage should be made of horizontal bars. 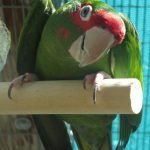 Wooden, acrylic, leather and rope toys should be placed to satisfy its chewing tendency. 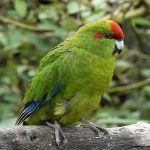 For the breeding season, incorporate a nest box sizing 12X12X18 inches. 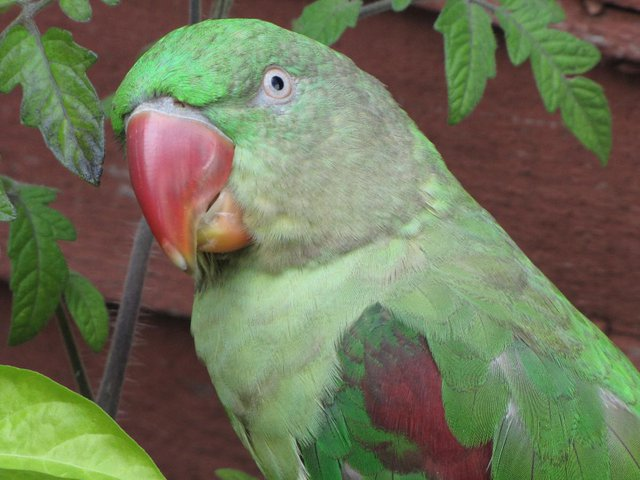 The ideal temperature for an Alexandrian parrot is between 40° F and 90°F. Lowering of the temperature may cause them discomfort or even make them prone to different ailments. Even though a little shy at the beginning, it does not take much time to shed its inhibition and mingles with all the family members of the owner once it gets the comfort level. 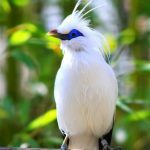 This bird is a complete chatterbox and sometimes noisy keeping you entertained throughout the day with its amusing tricks. It has a fast ability to learn every word it hears so you don’t need to invest much time in teaching it how to talk. Maximum ten to fifteen minutes conversation daily will make this bird fluent in talking. 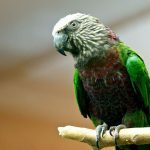 A hand reared and well tamed Alexandrian parrot will prefer to sit on your lap, shoulders, and can stay on the play stand at least once in a day if trained well. Do not leave it unattended or else it might become aggressive. Watch out for signs like eye pinning, as it indicates your pet is angry and might bite you. As it enjoys eating almost all kinds of foods, you can wean your pet to fruits like mango, papaya, grapes, peaches and vegetables like broccoli, beetroot, squash, cabbage leaves besides the dietary pallets readily available in the markets. Homemade pork or chicken preparation, pasta, and oatmeal can be given once in a while as the training treats. Do not include toxic rhubarb and avocado, fatty, caffeinated food and dairy products. Over consumption of garlic and onion may lead to anemia. 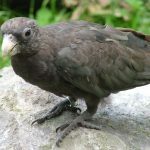 A regular bath in fresh water is recommended for keeping its feathers and skin in good condition. Just be careful enough not to scrub its feathers with soaps. Use a bird lamp for drying it up afterward. 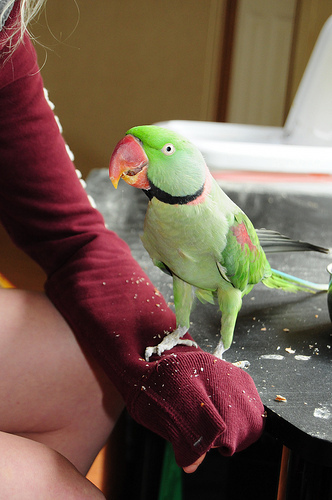 Ensure a proper hygienic atmosphere for your lovely pet by cleaning the cage and the toys frequently. It has a natural tendency to clutter water bowls with food, hence change the water twice every day. Common illnesses include psittacosis or parrot fever, atherosclerosis, aspergillosis, lipomas or fatty tumors, hepatic lipidosis or fatty liver and pododermatitis or the bumble foot due to the deficiency of vitamin A. An Alexandrine parrot can cost you around $600. Its scientific name “Eupatria”, is a Greek word, signifying “noble origin”. 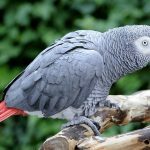 3 Responses to "Alexandrine Parrot"